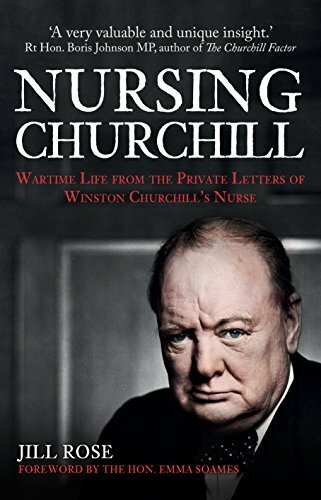 The author knows and shares much about her parents, Doris and Roger Miles—he a surgeon-lieutenant, Royal Navy; she a nurse at St. Mary’s Hospital, London. 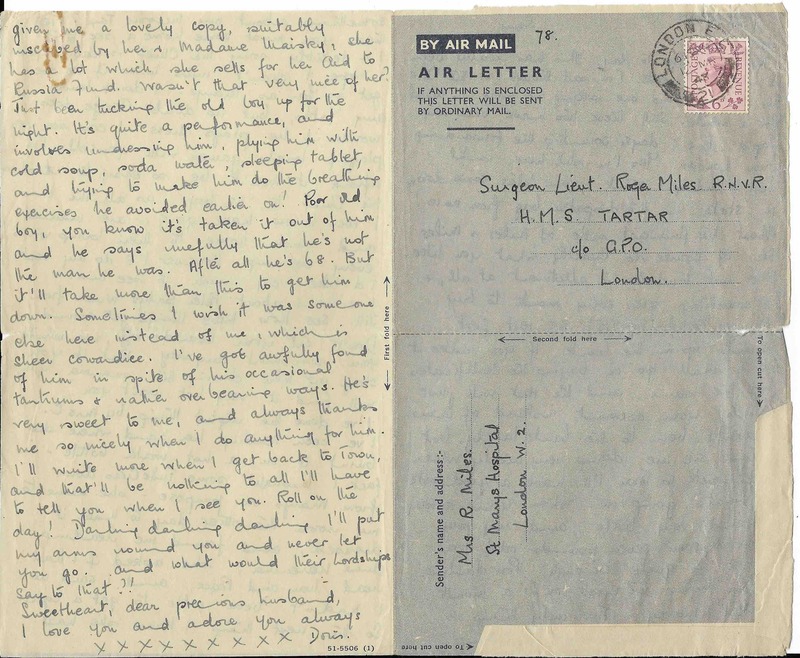 The book is built around Doris’ letters to the absent Roger. She knew only that he was aboard HMS Tartar, a famous ship which earned twelve battle honors during close encounters with the enemy. 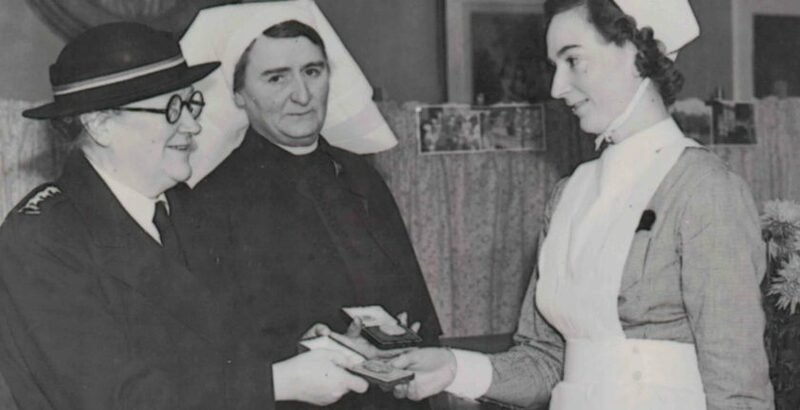 Doris nursed throughout the war, but her noble chance came in February 1943. That was when, on orders of Churchill’s doctor Sir Charles Wilson, she was summoned to Whitehall. The PM was back in London, still unwell after a grim battle with pneumonia following the Casablanca Conference. By March 3rd the patient was much improved, and Doris Miles was the only nurse sent with him to Chequers, the PM’s official country residence. Her letters are full of admiration for the old house which, despite its grandeur, she found homey. One night the PM called her to a window. “Look, nurse, those are our boys going to Germany, we can rely on them.” Overhead,” writes the author, “passed a flight of British bombers from nearby RAF Abingdon heading east at the start of the Battle of the Ruhr.” Stirring times in sterner days. Doris lived to be 100, glad at the end that her last twenty-seven years without Roger were over. This is far more than a Churchill book. We cannot begin to describe its riches in a small space. It is well worth the read. It describes two people deeply in love, separated by war, with shrewd observations of life at the top; and at the bottom, amid the blacked-out streets of shattered London. Readers will profit from Jill Rose’s exposition of those times. It is another example of why that generation is often referred to as the greatest.